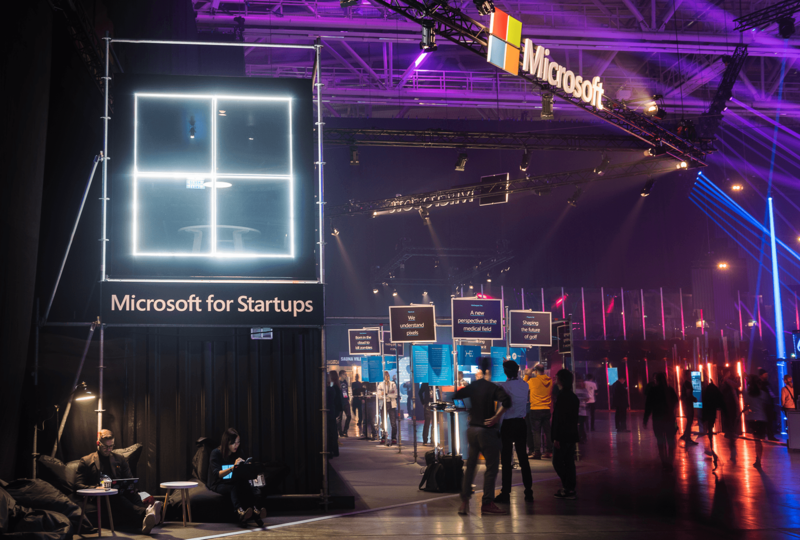 As a continuum to our cooperation with the iconic technology titan Microsoft, we once again paired our forces, this time to create something startling for Slush 2017; the world’s leading startup event in our cherished hometown of Helsinki. 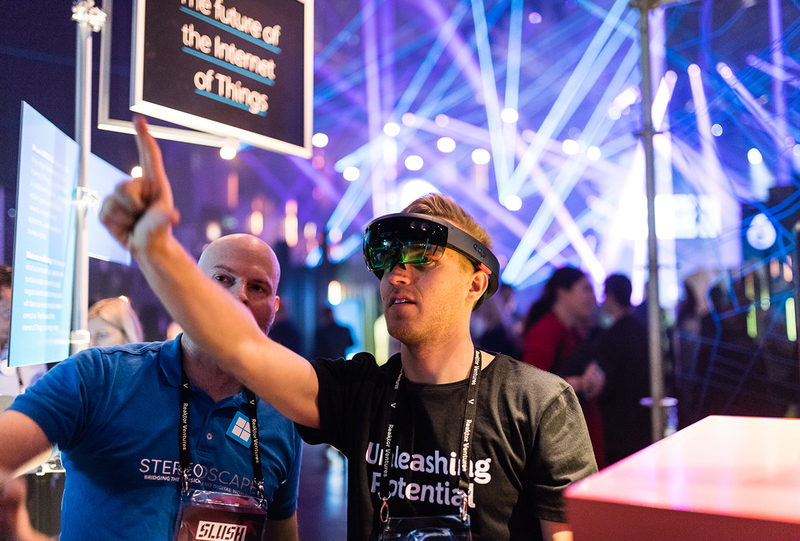 This rapidly grown assembly brings together about 20 000 guests from 130 countries around the globe. 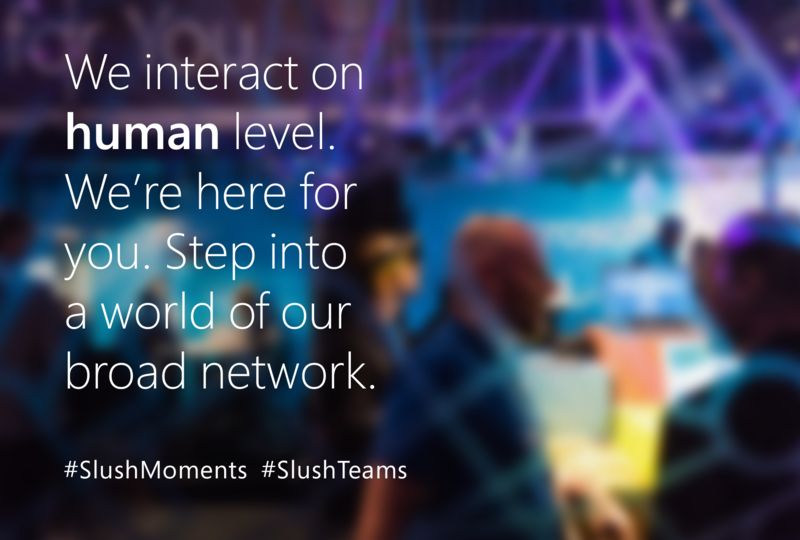 Microsoft asked us to come up with a visually outstanding and coherent event presence concept to fill up 150 square meters of space located right next to the Slush main stage. 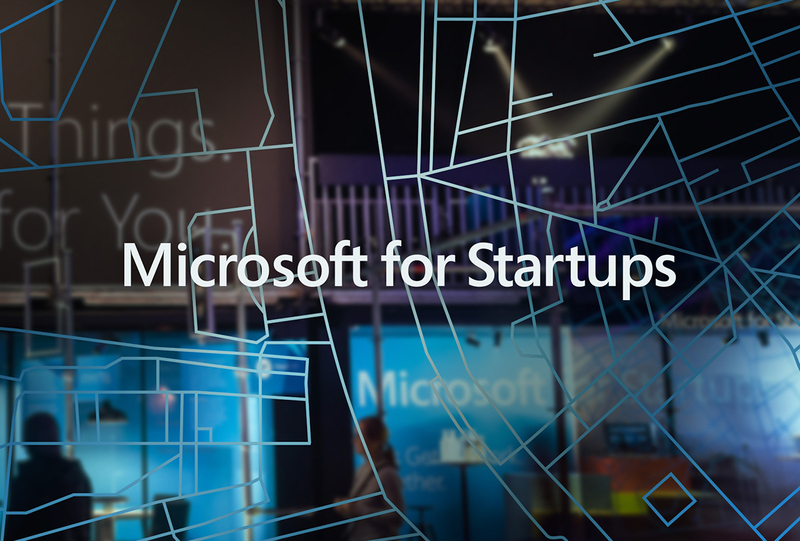 Besides showcasing Microsoft Flux and Microsoft Startups with their individual areas, the main function of the presence was to enable the Microsoft mentored and hosted start-ups to step out with their innovations. Our main challenge to tackle was keeping the spatial concept visually solid yet magnetizing, while simultaneously dividing the space into multiple entities. 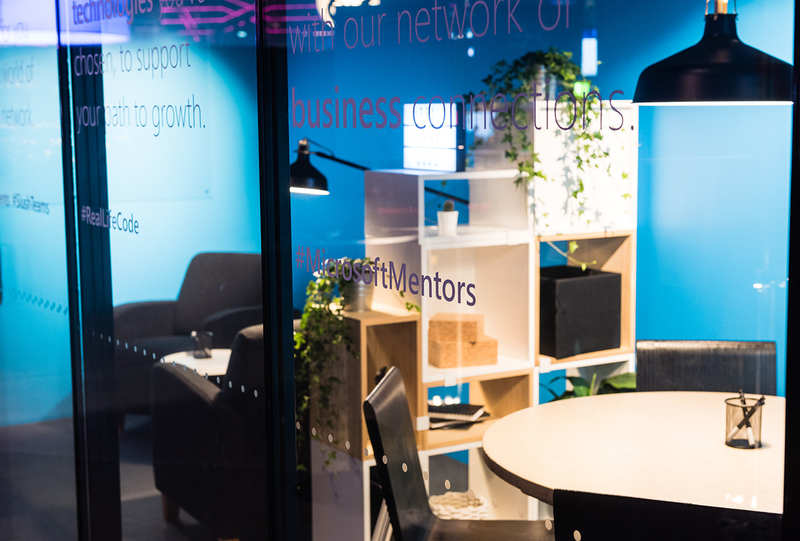 Our solution was a two-story container – a color-coded, confident, solid and stylish canvas for the startups to present themselves. 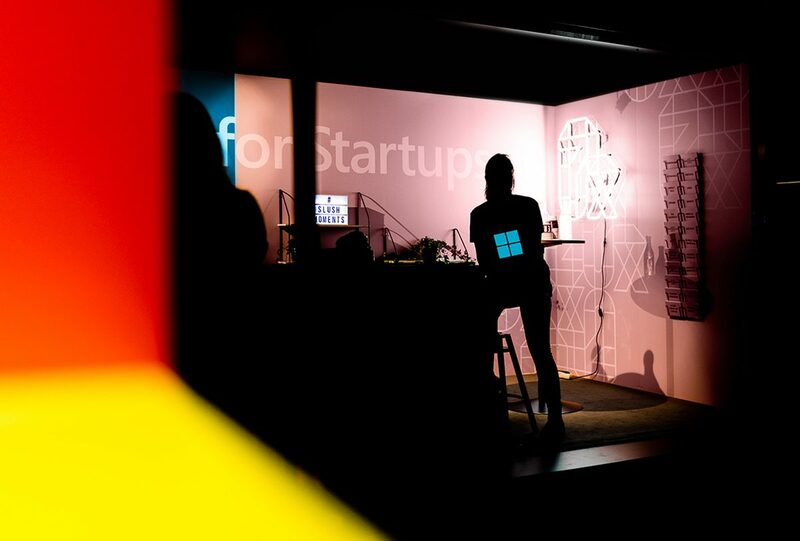 We spread the Microsoft For Startups brand identity throughout the spatial design, event area messaging and a whole bunch of other visual assets, from staff clothing to eye-catchers. 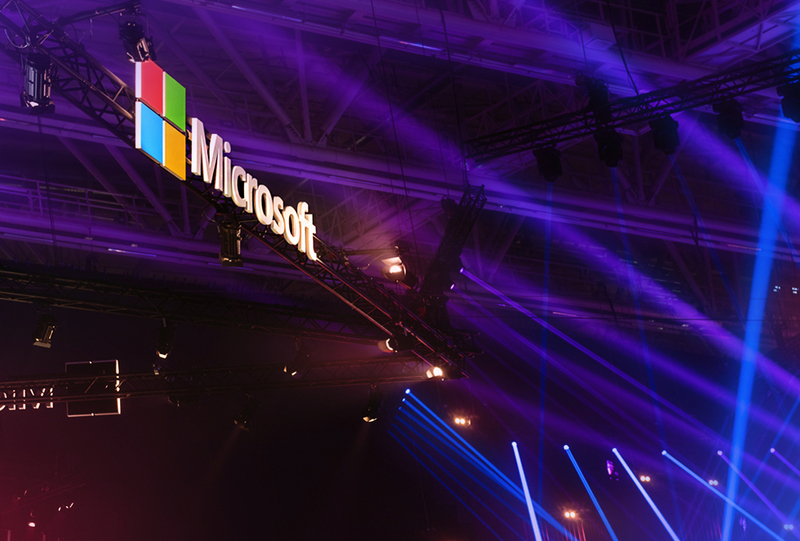 Besides concepting and producing the area itself from scratch, we helped Microsoft boost the event with a set of supportive web assets aligned to their Slush presence. 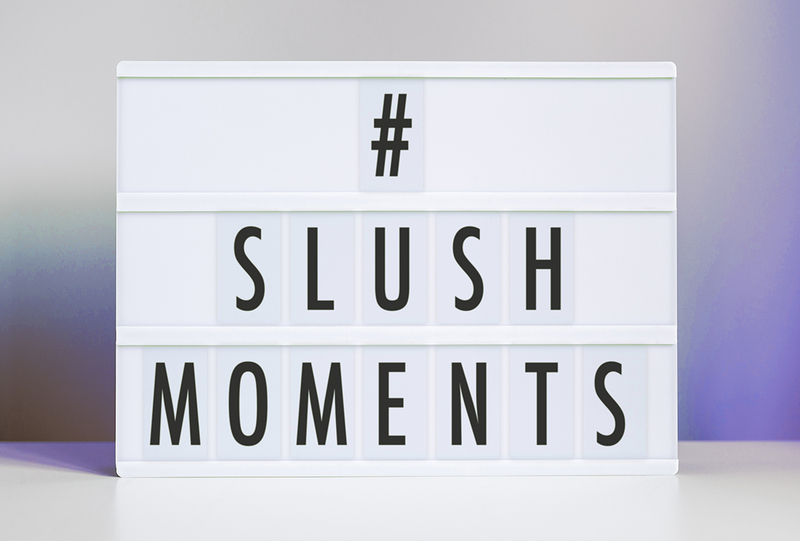 Together with the client, by mixing and matching sleek and rough materials, we created a look and feel that perfectly encapsulates the distinctive Slush vibrations while stepping out from the bottomless sea of startup buzz. 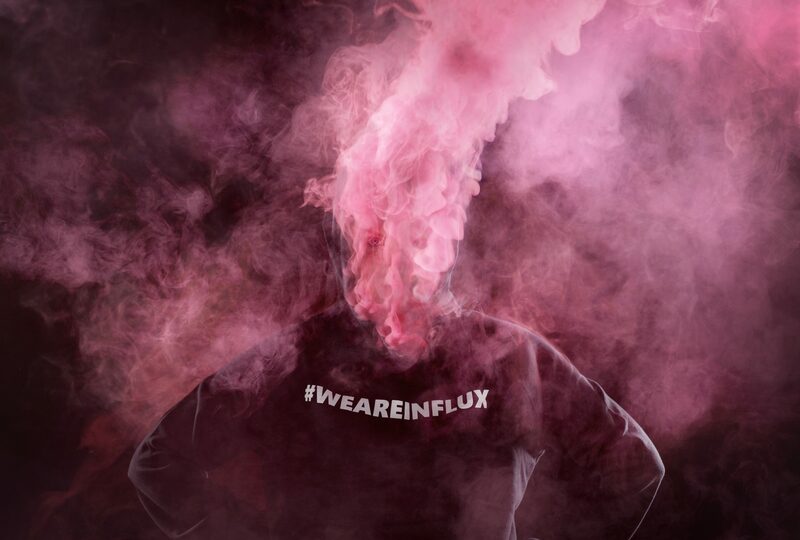 Cutting out the distracting noise and empty promises, we created a simple and honest concept with attention to smart and insightful details. 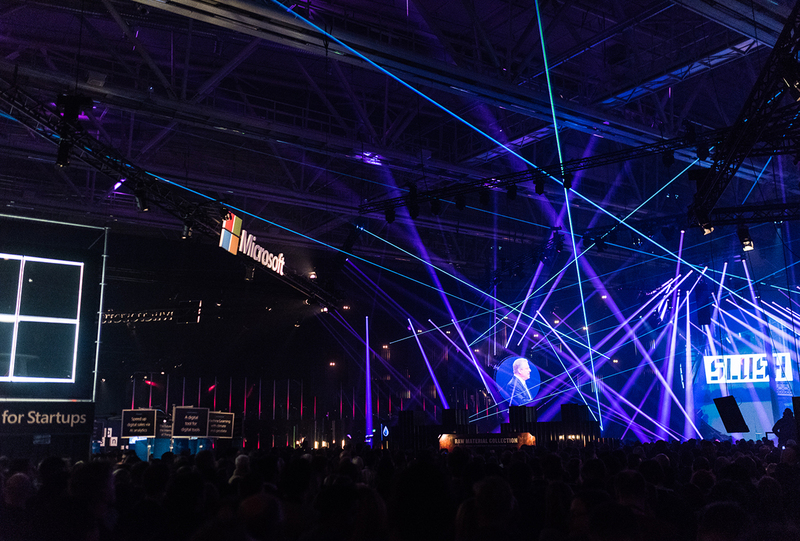 Microsoft’s immersive event area attracted visitors to clamber up and view the whole of Slush at once. 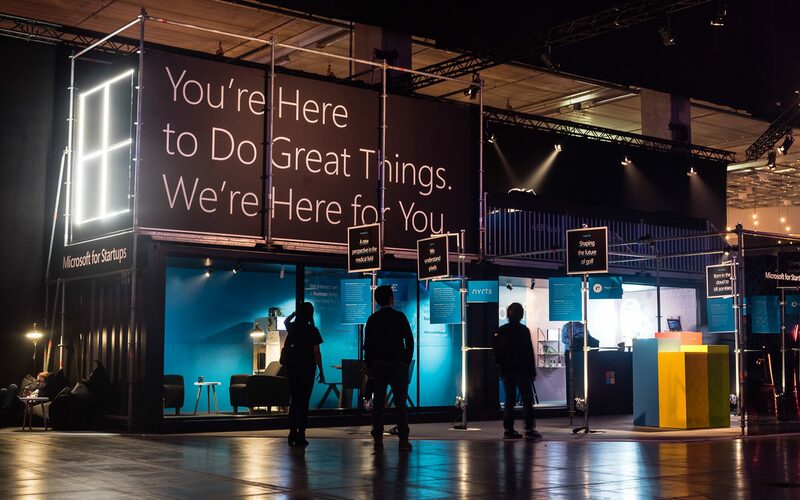 What a philosophical way indeed to portray the essence of our client – Microsoft truly is a forerunner enabling others to rise and climb up high.